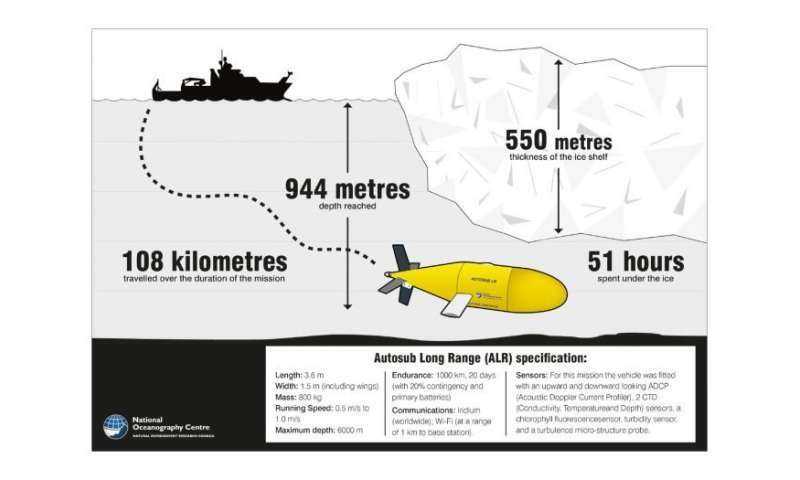 The yellow high-tech autonomous underwater vehicle (AUV), affectionately known as Boaty McBoatface, has successfully returned from an ambitious science expedition deep below half a kilometre of ice. 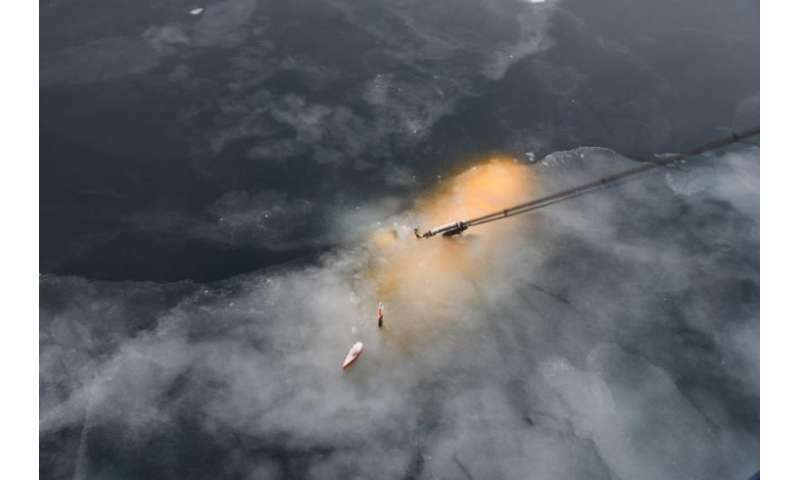 It is the first time that Boaty has been deployed underneath an ice shelf, marking a significant milestone in proving the vehicle's capability, and demonstrating the important contribution that AUVs are making in helping scientists understand what happens in hostile and otherwise inaccessible parts of the ocean. In this case, the AUV carried two sets of CTD (Conductivity, Temperature and Depth) sensors to measure salinity and temperature of the water underneath the Filchner-Ronne ice shelf in Antarctica. Covering an area of around 450,000 square km, it holds a greater volume of ice than any other floating glacier tongue. Climate researchers are particularly interested in whether more glacial ice is currently being transported into the ocean, since this process is related to rising sea levels. In addition, so-called 'deep water' forms near the ice shelf, which is a key driver of global ocean circulation and therefore impacts upon the climate system everywhere on the planet. Boaty was also equipped with a micro-structure probe to measure ocean turbulence, a sensor to measure the amount of phytoplankton in the water (by measuring the fluorescence of their chlorophyll) and a sensor to detect the turbidity of the water. It spent a total of 51 hours under the Antarctic ice, travelling 108 km and reaching water depths of 944m. Steve McPhail, Head of AUV Development at the National Oceanographic Centre, said: "Waiting for the AUV to return is – to say the least – exciting, and as a result I was very relieved each time the AUV turned up, on time, and in the right place, circling 900 m below the ship. Even then our problems were not over. With the surface of the sea frozen, we needed RV Polarstern's help to create an ice hole through which we carefully navigated the AUV. "I am delighted in the success of this mission. For the engineers involved, this was a very challenging deployment that was not without risk. We knew that the environment was harsh, with -20 Celsius air temperatures and sea temperatures very close to the freezing point of seawater. Under the ice shelves there are significant tidal currents and the high southerly latitudes pose difficulties for the AUV's underwater navigation. Once in the ice shelf cavity we had neither detailed information on the thickness of the ice, nor the depth of the water. We had no communication with the AUV for 90% of its time in the water." 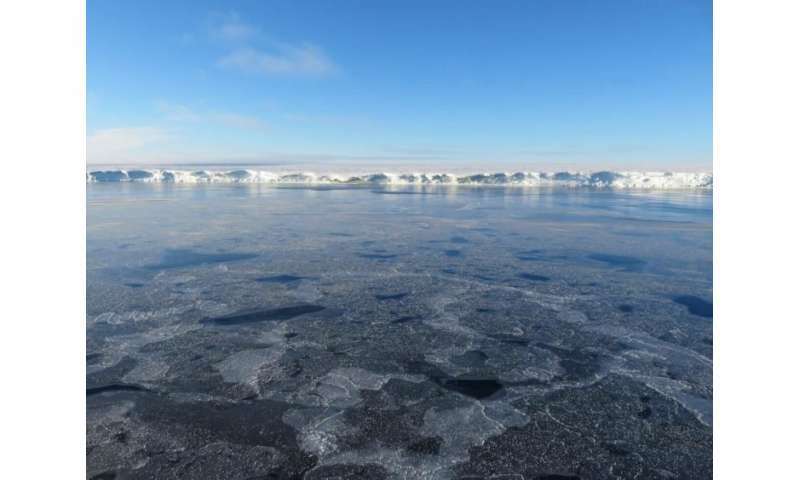 "Understanding the contribution that polar ice sheets make to global sea-level rise is recognised internationally as urgent. The data from this mission are critical for assessing the future stability of Antarctica's Filchner Ice Shelf, and this mission has enabled us to take a small step towards our goal of producing credible sea-level projections for the next 50 years." Boaty was deployed from January to February 2018 in the southern Weddell Sea from German research vessel RV Polarstern as part of the Filchner Ice Shelf System (FISS) Project– a collaboration involving leading UK research institutions including British Antarctic Survey (BAS), National Oceanography Centre (NOC), Met Office Hadley Centre, University College London, University of Exeter and Oxford University, and international partners including Alfred Wegener Institute (AWI), Germany, and University of Bergen (UiB), Norway. 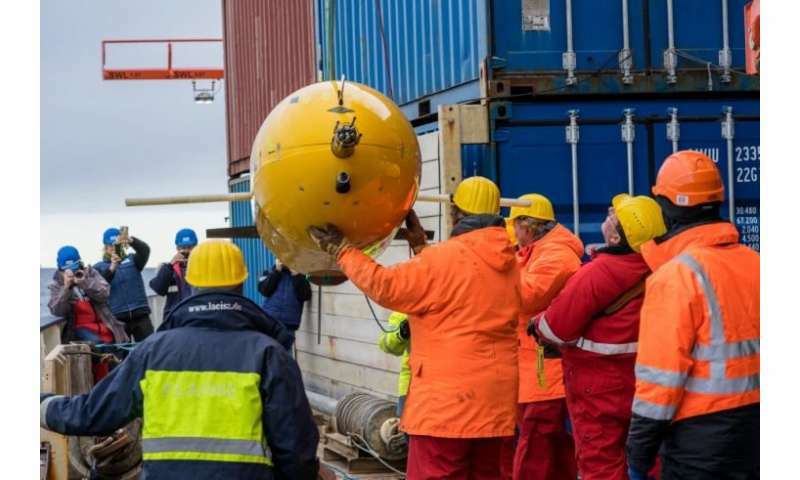 The AUV plays a critical role in the project that aims to investigate and describe the current state of the complex atmosphere-ice-ocean system.